Follow the lucky 7 with this retro slot by Amatic - Wild Seven.Go wild with this slot as you try to find the wonderful prizes which will have you smiling because of the luck which the character 7 brings. The flaming reels will spin and get you hot as you await the payout but don't you blink because you may miss that magical moment when you land a big win. Wild Seven is a 5-reel, 3-row and 10 payline slot with tons of excitement and fun.So get ready to discover the hot prizes which are hidden within this slot. Wild Seven being a fruit machine, will remind you of the old fruit slot machines which were found in bars, but redesigned. 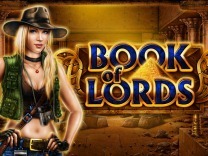 This slot has wonderful features which allows players to have fun while playing the slot. The graphics are rendered perfectly allowing players to play the slot without any hitches. This allows players to play the game on multiple devices which include a mobile phone or a desktop computer. The best part is that you do not have to download any software to access the game as it can be played from your web browser.The slot takes on a fruity theme with the hero of the slot being the wild 7. This 7 is flaming hot and if you are lucky you can multi-stack the 7 for huge rewards. Wild Seven features a red background symbolizing the flaming hot prizes which are hidden within this slot.If you are looking for a medium variance slot, then this is the slot to pick. You will receive regular pays between spins. Wild Seven is recommended for all players. Amatic has really outdone itself with this slot. 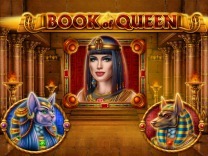 There are different characters in this slot which will have you glued to your screen as you play this slot. These symbols include fruit icons such as the melon, grapes, plums, oranges, lemons and cherries. These are the standard paying symbols in the slot. These symbols will pay a high of 10,000 coins for matching 5 of the melon symbols if you are lucky or a low of 250 coins for matching 3 of the cherry symbols.Before you can begin playing, you will be required to set a wager so that you can reap the benefits of this slot. Wild Seven allows players to set a minimum wager of 1 coin and a maximum wager of 50 coins per line. You can also adjust the paylines so that you can fit your bankroll. For those players who love to sit back and watch as the wins land, there is an autostart feature which is located at the bottom of the screen. In Wild Seven, you will find 10 paylines which will give you multiple opportunities to make winning combinations with each spin. You have to match at least 3 symbols on an active payline to receive a payout.Watch out for the Wild represented by the flaming 7 as this is the best symbol in Wild Seven. Matching 5 of these characters will award you up to 50,000 coins. Wild Seven offers players a wonderful base game but there are also bonus features which bring additional enjoyment. You will find that there features such as the substituting wild, a scatter symbol and a gamble feature.The gable feature is the first bonus feature which you will encounter when playing this slot. This feature can only be activated manually by clicking the gamble button at the bottom of the screen. Whenever you land a win the gamble button will blink. If you are a risk taker then you will be transported to a second screen where you will be presented with a card guessing game. Here you will have to choose the correct card colour or the correct card suit to double or quadruple your winnings. Incorrect guesses mean forfeiting your wins and returning to the base game.There is also wild symbol included in the slot. This symbol substitutes all other symbols in the slot except the scatter symbol. 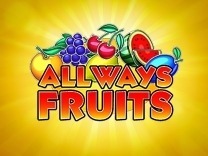 It will also subject all winnings to a 2X multiplier whenever it completes a winning combination. The scatter on the other hand will award pays depending on the number of symbols landed on the reels. It can award up to 25,000 coins for matching 5 of them.